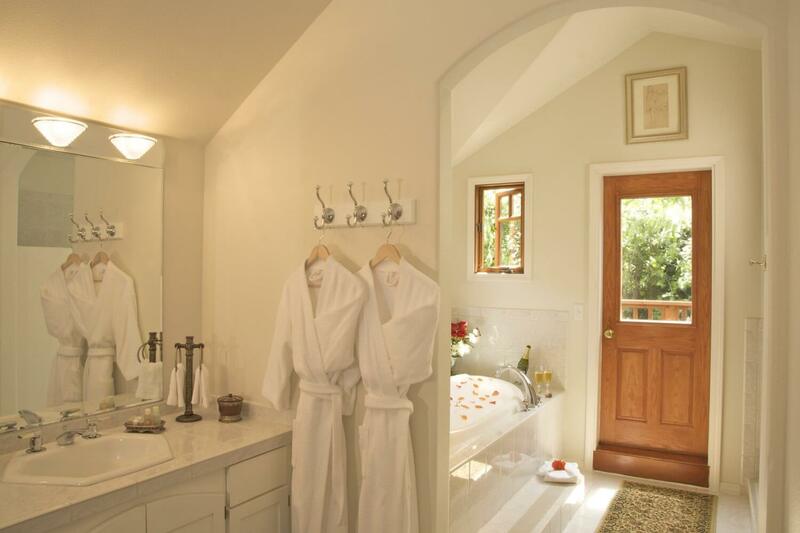 This contemporary 2-story suite defines peaceful and luxurious comfort. 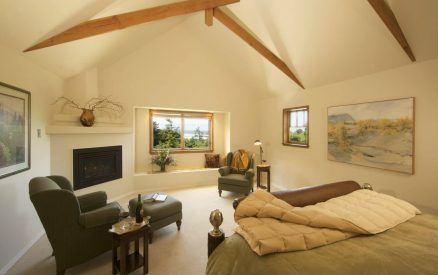 With its own private entrance, surrounded by spectacular forests and with stunning ocean views, this suite boasts a living room with its own fireplace, entertainment area with flat screen TV, dining table and writer’s desk. 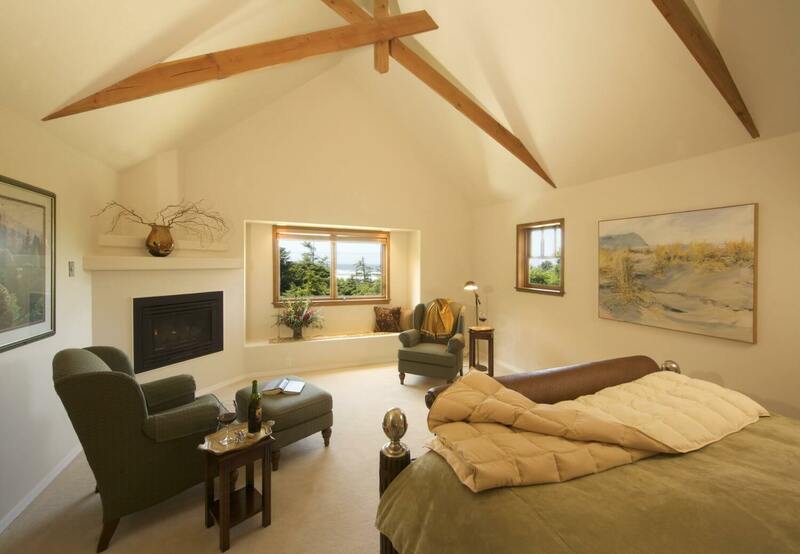 Upstairs, the Master bedroom, with its own fireplace, is furnished with a Hemingway King bed. Comfortable reading chairs abound. 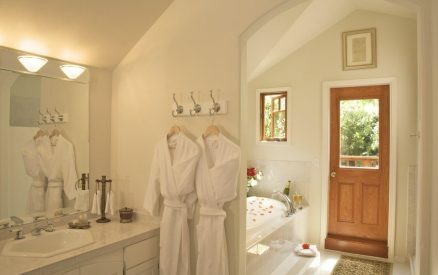 The bath has a luxurious Mediterranean-style open tile shower as well as a jetted tub, all of which is enhanced with a large dressing suite, perfect for a bridal boudoir. This suite is ideal for those seeking a quiet, secluded private retreat from the hectic pace of daily life. 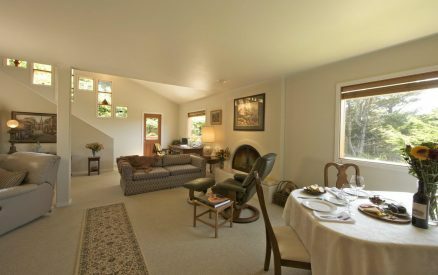 Breakfast can be served in-room for an additional $50.00.